Blackthorn (Prunus spinosa) can be found in almost every farm hedge in the UK. With its sharp thorny branches, it was used for many centuries to help create stockproof hedgerows to contain livestock but has since retained a useful status as a hardy hedging plant. In March and April, Blackthorn will be seen covered in a proliferation of small white flowers. 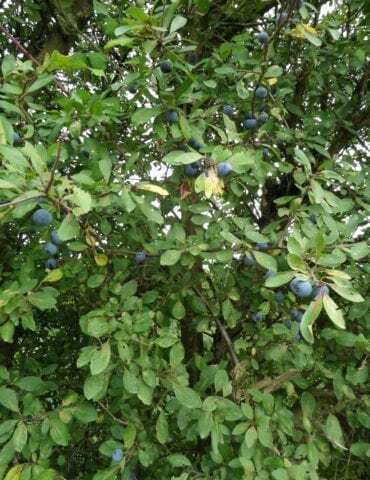 In the autumn, an abundance of fruits, known as Sloes, will be produced which are commonly used for flavouring gin. Birds and wildlife favour native hedges as nesting sites and a well clipped Blackthorn hedge will provide shelter and security for many song birds. Blackthorn produces flowers before it comes into leaf whereas Hawthorn produces leaves before it comes into flower. Blackthorn and Hawthorn are commonly found together in native hedges throughout the UK usually with such other varieties as Field Maple and Hazel. We normally stock Blackthorn as bare root plants during the colder months of the year which is a cost effective way of planting hedging. Scroll down for more information. Please note that the 2018/2019 bare root season has now ended and we are not able to supply bare root plants now until autumn 2019. What is a native hedge? Native hedging is a broad term, loosely used to describe hedging plants that are native to the UK. There is no set rule as to what plants can be in a native hedge and some of our most ancient hedges in this country date back hundreds of years and contain a great variety of species. There are a huge number of native hedging plants that can be used to make either a single species hedge or a multi species hedge. Single species native hedges tend to be used in more formal garden situations whereas mixed species native hedges tend to be used more in informal or farm hedge situations. Native hedging is predominantly made up of deciduous species such as Beech, Hornbeam, Hawthorn, Blackthorn, Spindle, Field Maple, Hazel, Dogwood and Dog Rose but can include many other species and there are evergreen species which can be included such as Holly and Yew hedging. There is no hard and fast rule as to what can and can’t be included in a mixed species native hedge. Why should I plant a native hedge? Native hedging can incorporate many different species and can therefore be used to create a hedge with much variation. In many new developments, native hedging is now preferred by local planning authorities and can be insisted upon in planning conditions. How do I plant a native hedge? If using bare root plants, native hedging should be planted either 45cm (1.5ft) apart in a single row or more commonly is planted 60cm (2ft) apart in a double row which helps to create a thicker hedge. For bare root plants, we also recommend using Rootgrow which helps the plants to produce a secondary root system for good establishment. If rabbits and deer are in the area, it is also very important to use tree guardssupported with bamboo canes to stop the bark and new growth being chewed off.  In the colder months we stock an extensive range of bare root native hedging which is suitable for planting longer stretches of hedging without costing the earth. That being said, we stock a range of sizes of premium container grown native hedging plants all year round.